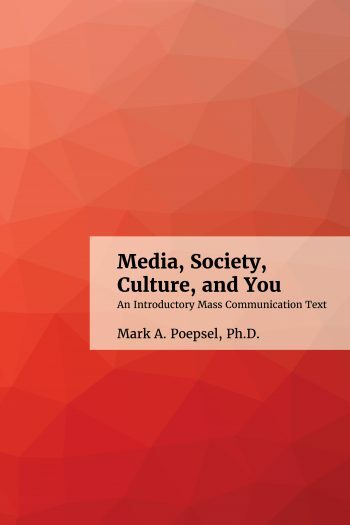 Book Description: Media, Society, Culture, and You is an approachable introductory Mass Communication text that covers major mass communication terms and concepts including "digital culture." It discusses various media platforms and how they are evolving as Information and Communication Technologies change. This book has been peer-reviewed by 6 subject experts and is now available for adoption or adaptation. If you plan to adopt or adapt this open textbook, please let us know by filling out our adoption form. You can view the book's Review Statement for more information about reviewers and the review process. An Accessibility Assessment for this is book has also been prepared to see how this book meets accessibility standards. 7. Radio Broadcasting, Podcasting and "Superbug Media"
Media, Society, Culture and You by Mark Poepsel is licensed under a Creative Commons Attribution 4.0 International License, except where otherwise noted.